SANIBEL, FL-July 12, 2018- Sundial Beach Resort & Spa announced today that Tracy Snyder has joined the resort’s sales team to further service its growing wedding and catering sales markets. A seasoned event management executive, Tracy’s experience includes past positions with Hyatt Hotels and Miromar Lakes Beach and Golf Club. Tracy joins Sundial as Catering Sales Manager to continue the resort’s success as a premier wedding and special event site. Voted the Best Event Facility on Sanibel & Captiva Islands, Sundial is a popular destination wedding location as well as home to many community celebrations. “I’m excited to join the Sundial family and look forward to helping my clients plan their events and create lifelong memories”, commented Tracy. 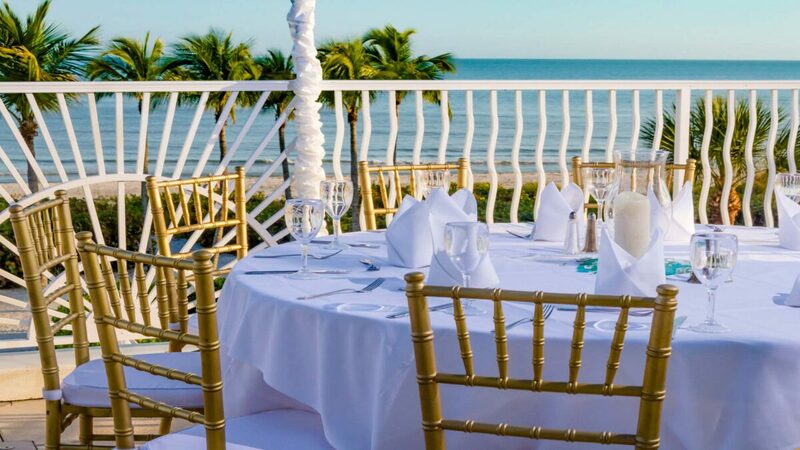 Featuring the largest banquet and meeting capacity on Sanibel Island, the resort offers unique Gulf-front space including outdoor terraces, manicured lawns, a private beach area and ballrooms with panoramic views. For couples looking to tie the knot this year, a new 2018 wedding special provides a free ceremony package combined with reception savings. Visit sundialresort.com for more information. Located near Fort Myers on the barrier island of Sanibel off the Southwest Florida Gulf Coast, Sundial Beach Resort & Spa is a unique island destination with miles of world famous beaches. Voted Best Full Service Resort on the Islands for five years in a row, guests select from spacious, fully equipped condominium-style accommodations in various sizes, complete with kitchen, living room and dining area. Directly on site are five restaurants with panoramic views of the Gulf of Mexico. Resort-style amenities include pickleball and tennis courts, multiple heated swimming pools, cabanas, organized activities, fitness center, sushi market, Kay Casperson Lifestyle Spa & Boutique, Sanibel Sea School at Sundial, Bailey’s Marketplace and a nearby world-class golf course. Sundial Beach Resort & Spa features conference and event facilities with over 12,000 square feet of meeting space and multiple outdoor venue locations. The resort and its pristine beaches serve as a perennial favorite for Florida resort weddings. For additional information, call 239-472-4151 or visit sundialresort.com.